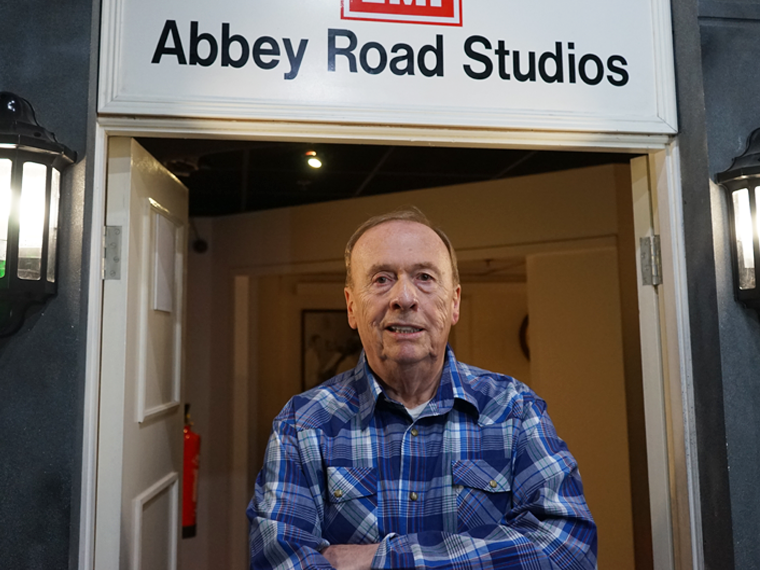 The man who shaped The Beatles' sound has visited the new Abbey Road room at The Beatles Story ahead of a brand new stage production celebrating the recording sessions of the Fab Four. 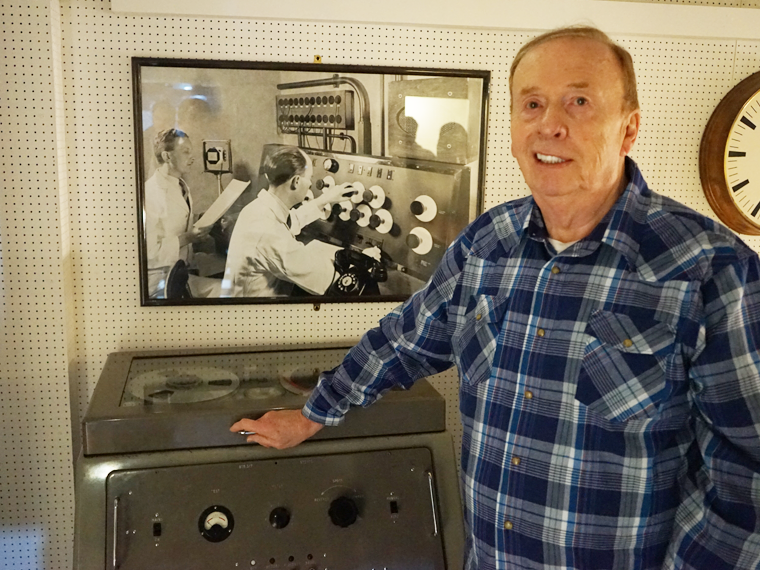 Four-time Grammy Award-winner Geoff Emerick was the studio audio engineer who, at the age of just 19-years-old, started work in Studio No.2 at the world famous Abbey Road in London, with the biggest band in the world. He visited The Beatles Story to take a look inside the new Abbey Road room, where fans can learn about the band, see a recreation of the studio and take a trip down memory lane, or rather a zebra crossing. It was his friend, the late ‘fifth Beatle’ Sir George Martin, who gave Geoff production duties on the first Beatles album he worked on, Revolver in 1966, and so began a creative period where Geoff innovated many techniques to mould the sound of John, Paul, George and Ringo. Geoff also worked on Rubber Soul, Sgt Pepper’s Lonely Hearts Club Band, The Beatles – or The White Album – which he abandoned work on because of arguments and in-fighting within the band but returned to give his masterstroke to Abbey Road. Geoff was in the city ahead of The Sessions at the Echo Arena, which promises to be a breath-taking journey through The Beatles’ albums and is inspired by Geoff’s book, Here, There and Everywhere, which took five years to write. The multi-million pound show, set in a state-of-the-art and painstakingly accurate replica of the studio will debut on 30 March and proceeds will go to Radio City’s Cash For Kids. Speaking at The Beatles Story after being impressed by the new Abbey Road room, Geoff said: “The Sessions is a reconstruction of The Beatles recording in Abbey Road’s Studio No.2. “The main producer Stig Edgren read my book, tracked me down and said this will make a great music show because there are little anecdotes about us in the studio and things that happened between recording the music and so on. “Rather than have four guys singing Beatles songs that everyone does, we wanted to recreate what it was really like in the studio and the first thing to do was build a replica of the studio in its correct measurements. “This will be the only chance the audience will ever get to see inside what the No.2 Abbey Road studio really looked like. The premise was also to present the music and the songs in the form they ended up on the record, with the double tracked vocals, the harmonies and the sounds on the records. “Instead of four Beatles on stage there are two Lennons, two Ringos, and so on to build up the sound. “It’s all live and it’s amazing. I was at rehearsals the other day and it sent shivers down my back, it really did. “I’m reliving six years of my life with them in the studio, I was an assistant in the very beginning and then became an engineer on Revolver at the age of 19. “From Revolver onward we completely changed the way people recorded and constructed songs and so on. 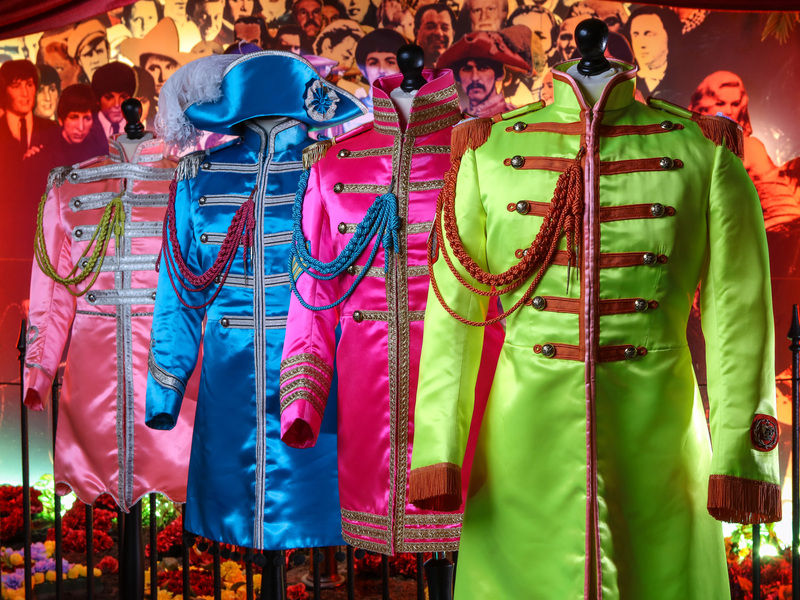 Then it went up a notch on Sgt Pepper’s, especially with A Day in the Life. “For the show, we’ve got a 22 piece orchestra and a lot of people on the vocal side and the walls will come down. There’s a lot of visuals and it’s all very exciting and awesome, as there is so much happening. “There are funny parts, quips from the Lennons’ character and things that happened around the vocal microphone which were actually said. “Working with The Beatles has been so indelible on my mind people have said, ‘well how do you remember all that?’, but I have talked and talked about it, particularly during the writing of the book. “It’s an immersive experience, the audience will be transported back from the beginning to the end of The Abbey Road album, so as it goes through the whole mood and the vibe of the entire studio changes. “Everyone says to me I was so lucky to have lived in the 1960s and experienced it because of the way the world is now, and I totally agree, it was just magic. “It was always hard working with them, but not demanding. They often wanted new things and we had to figure out how to create them. “On my very first day recording with them, for example, John said he wanted his voice to sound like the Dalai Lama singing on a mountain top 24 miles away from the studio. “I looked around to see what I had in the studio and I had nothing. Luckily, through the controller window I saw the revolving speaker from the Hammond organ which was called a Leslie speaker and I thought if we can put John’s voice through the speaker that will give the effect. 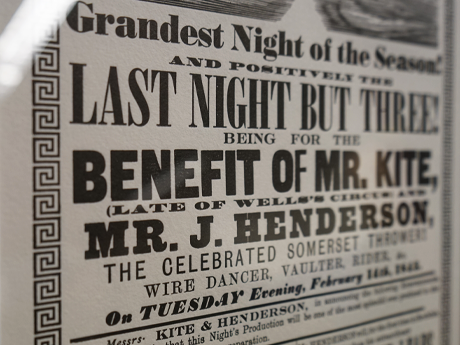 “And John loved it and that won him over. At the same time, Ringo wanted a new drum sound, he didn’t want that wishy-washy tone so I moved all the microphones and took the skin off the bass drum and gave it a lot more power. Pioneering Geoff was a long-time friend and colleague of Sir George Martin, who sadly passed away aged 90, poignantly a day before Geoff visited The Beatles Story. They were friends for 55 years. Passing a book of condolence at the exhibition for Sir George, Geoff remembered his friend and said although he knew his passing was coming for a long time he was sad that such a huge influence on his life had gone. 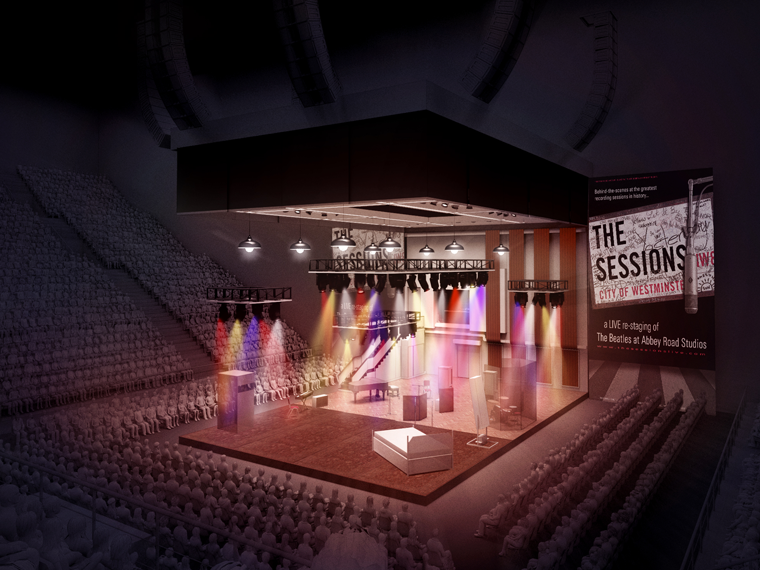 The first show of 'The Sessions' in a UK tour will be at the Echo Arena on 30th March at 8pm. Find out more here.